The iconic Star Wars franchise now has another film in its canon. Star Wars: The Last Jedi can now be seen in many parts of the world, and millions of people are undoubtedly excited to see the continuation of one of the most beloved movie franchises in history. It’s rare to see the movie industry and smartphone industry intersect, but OnePlus was able to strike a deal to secure the rights to display Star Wars branding on a special edition of the OnePlus 5T. The OnePlus 5T Star Wars Edition is available for purchase in India, Finland, Sweden, and Denmark and it features a sweet white SandStone-finish aluminum unibody with a red alert slider, Star Wars red theme, and 10 exclusive Star Wars: The Last Jedi wallpapers. We did a thorough hands-on of the special OnePlus 5T Star Wars Edition which gives you a good picture of how it differs from the regular 5T model, but in case you are wondering what that red theme and new wallpapers look like, here’s a quick video showcase. Interested in these wallpapers? They’re available on the special 5T model, but in case you don’t live in one of the 4 countries where the Star Wars OnePlus 5T can be purchased, then you may be wondering how you can get those sweet wallpapers. I can show you how to get them on your regular OnePlus 5T as well as the Star Wars theme and the clock widget. In case you only care about the wallpapers and want them on any device, XDA Recognized Contributor Quinny899 has also shared the wallpapers online so you can grab them on any Android smartphone! After we published this article, the actual wallpapers themselves were published on our forums by Quinny899. You can download them through that link in that thread or from our mirror below and use them on any device. Follow these simple tips to get the Star Wars wallpapers on any OnePlus 5T device. It’s super simple! Make the OnePlus Launcher your default launcher (Settings –> Apps –> Default –> Home app). Don’t worry, the OnePlus Launcher is only needed to set the wallpaper, you can use whatever launcher you want afterwards. Enjoy the custom Star Wars related theme, wallpapers, and clock widget! In case the above method doesn’t work for you (if OnePlus patched it in the latest OxygenOS), here’s an alternative method that requires root access.. Some of you might be wondering how exactly method #2 and method #3 works. Why does entering a dialer code enable access to all of the cool Star Wars wallpapers? Without delving into too many details, I’ll summarize how we at XDA have had access to these wallpapers for nearly a month. It started last month when we first discovered the possible existence of the Star Wars OnePlus 5T model. Our hunch ultimately turned out to be true, but thanks to digging into the code, we also found out that all of the Star Wars related material is hidden away on all OnePlus 5T devices. 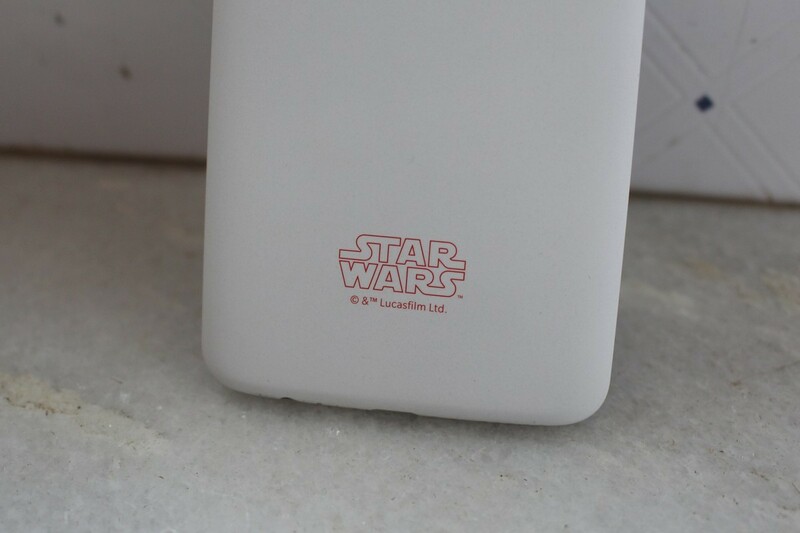 By modifying a hidden flag, any 5T device can be rebranded into the Star Wars version. The clue in how to do so can be found in the OnePlus Launcher version found only on the 5T. In the code, XDA Recognized Contributor Quinny899 found a method called “isStarWarsROM” (yes, it really is called that) which checks the value of a certain flag. If that value matches the number “2”, then the device is recognized as a Star Wars device and the wallpapers, custom clock widget, and theme are accessible to the user. So where is that flag? It’s located in /sys/module/param_read_write/parameters/cust_flag. Now, you might think that writing to this flag would require root access, and you would be correct. That’s how we initially tricked the isStarWarsROM method—writing the value “2” to this file. Requiring root access isn’t a big deal for many users on our forums, but we wanted to see if we could do this without root access. Coincidentally, a user on Twitter named @fs0c131y (who you might recognize for his work on the Angela root method) started posting various hidden dialer codes. While most of these codes appeared useless, there was one in particular that stood out to us. The *#*#9339#*#* dialer code sets something called “oem.cust.flag” to the value 2. As you can see, this matches both the value and the file that I mentioned earlier. Lo and behold, it appears that this dialer code sets the value we are looking for to trick the device into thinking it’s a Star Wars model. We informed OnePlus last month that any OnePlus 5T device could get the wallpapers and other material in this way, though it doesn’t appear to have been fixed in OxygenOS 4.7.4. It seems that OnePlus may have left these codes in for testing purposes, but fortunately for everyone it opens up the ability to grab the exclusive Star Wars software goodies on any OnePlus 5T device. If you’re looking to grab these wallpapers on a non-5T device, then you probably won’t have to wait much longer since this is the Internet.